Friends, today's an anniversary of a great musical event! 50 years ago the song "Yesterday" by Beetles has led American hit-parade and it had played a significant role in the band's development (by coincidence it's 75-th birthday of John Lennon today, too). 18,262 yesterday's has passed since that time and it's the number of Dominance points you should gather (on any district) within next 4 days: starting at 4PM GMT today and ending at 4PM GMT on Tuesday, Oct 13. The super-prize (which shall be kept in secret till that time) will go to the one who gets the exact number (if there's more than one candidate, the winner shall be picked randomly and the rest will get 1000 torns each)! If no player gets the exact number, the prize shall go to the one who gets the closest number "from above". Good luck and don't ever underestimate the Yesterday! Dear players! 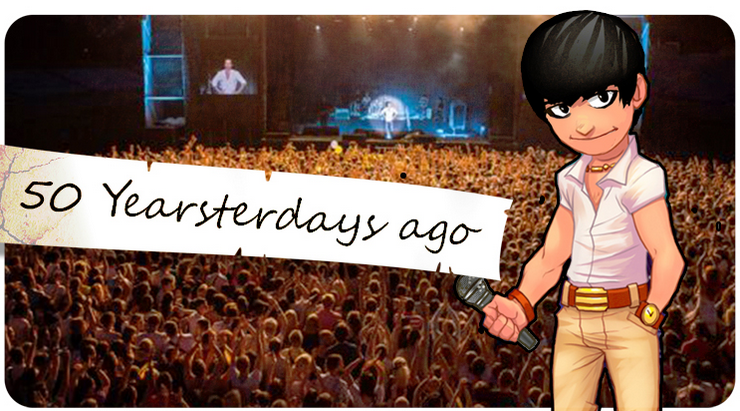 It's time to name the most accurate musician who has gathered exactly 18,262 Dominace points within 4 days and thus won the "50 Yearsterdays ago" contest! Several musicians have come quite close to this result: Kelli g 77 and GrimJesterz with 17,991 and 17,434 accordingly. The Administration congratulates the winner! The Super-prize shall be handed to him within 24 hours.